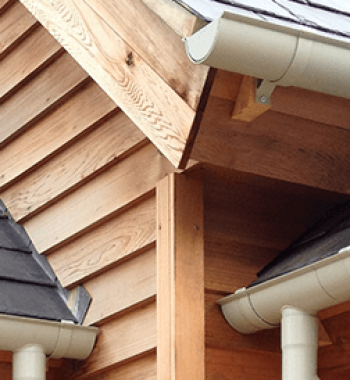 Trendgrey Construction Limited is a successful building company based in Warwickshire. Specialists in challenging construction projects, they are also a long-standing customer of ARP. 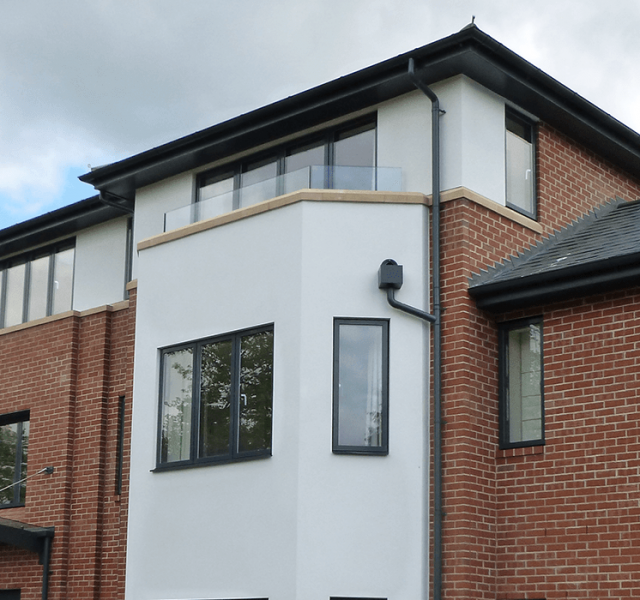 Working on a project recently in Arlington Avenue, Leamington Spa, Trendgrey Construction required an Aluminium Rainwater System for a newly built three-storey property consisting of six flats and a two storey-maisonette. To ensure the project progressed smoothly, Nigel Hancock, Area Sales Manager – ARP met with John Yates, the Quantity Surveyor – Trendgrey Construction to discuss the extent of the project. 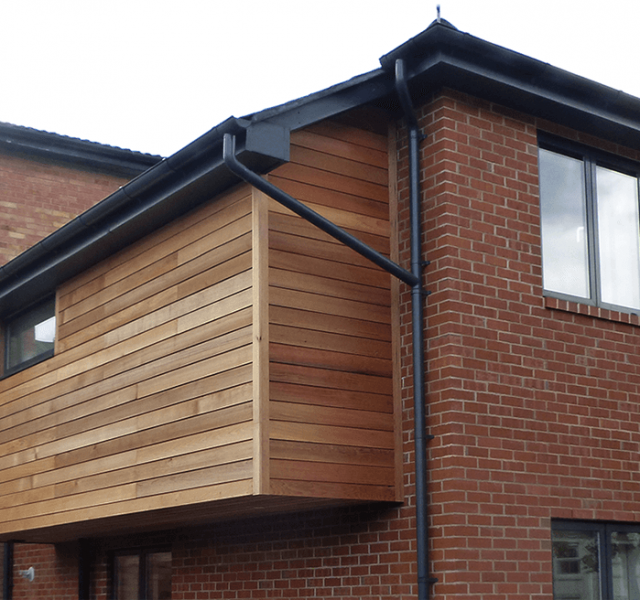 With over 100 metres each of gutter and downpipe, along with associated accessories, it was quite a sizeable project. 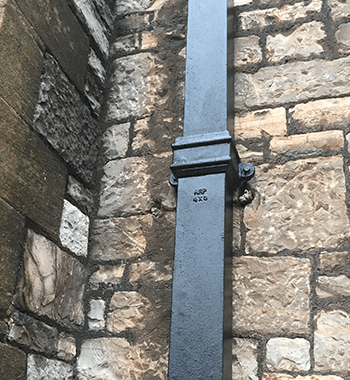 Nigel visited site prior to the order being placed to make certain that the swan-necks were set out and measured correctly and to deliver samples of the product for client approval. 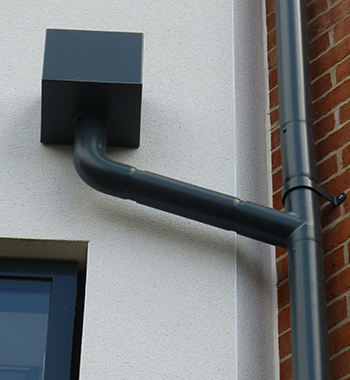 ARP’s Sentinel beaded half round aluminium gutter and Colonnade flush joint downpipes were polyester powder coated to 7016 anthracite grey within ARP’s in-house PPC line and were ideal for this project, as they are made from a naturally occurring material, which is abundantly available, fully recyclable and non-corrosive. 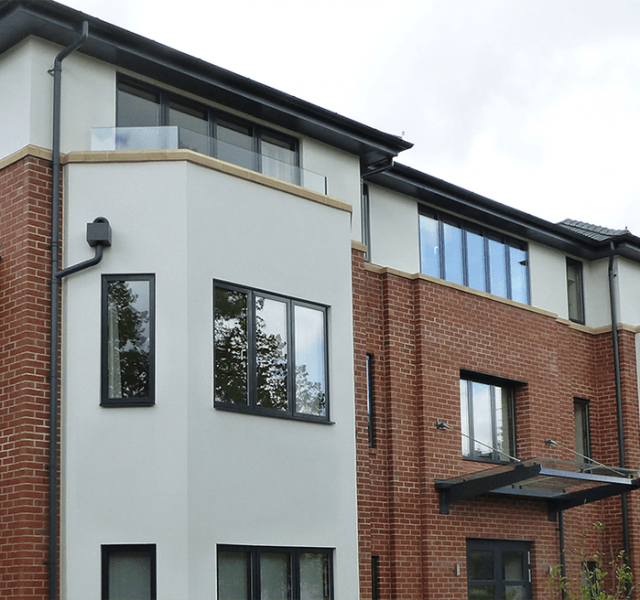 This lightweight and easy to install system offers the new contemporary style required for the refurbishment of this building. 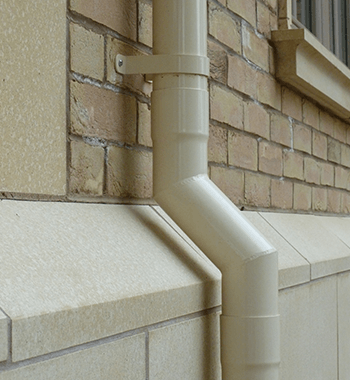 John Yates, Quantity Surveyor commented “Great product and good fast lead time”.